Whether you’re a veteran or entirely, new to VR the question of, “What do I want to play first?” is always the toughest when it comes to a new headset. 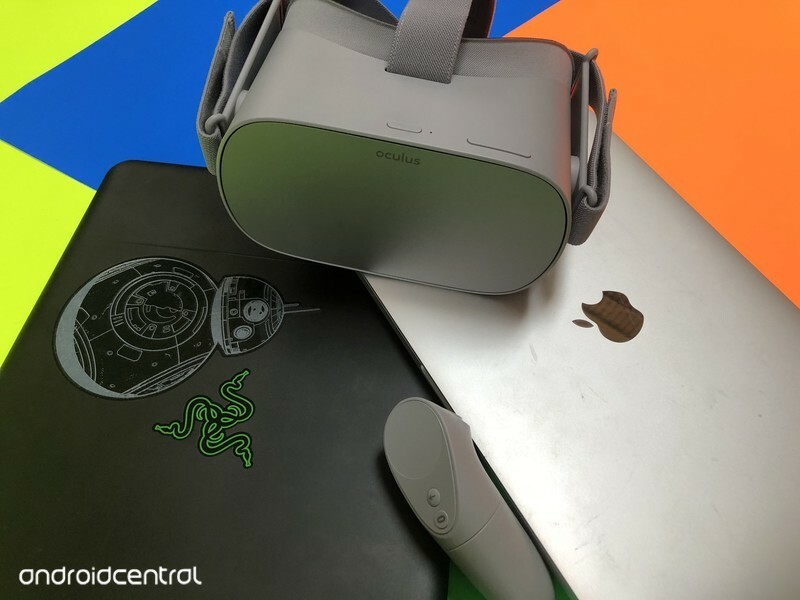 Now that you’ve got your Oculus Go I’m sure you want to test out all the cool things and get the feel for just how awesome this device actually is. Well, now there’s no stress involved in that situation as I’ve pulled some of my personal favorites into the list below! Strap that headset on, it’s time to play some amazing games. This is an adorable gem that is a series of minigames that make up one bigger game. You’re a wizard who runs a pet shop, caring for eggs and training monsters to meet your clients’ orders. It’s super cute and super fun without requiring a whole lot of movement. (I play this game sitting down on my couch.) Not only are there so many cool ways to change the looks of your little monsters, but you can even train them. The more you train the better they hold up in competitions against other players. There is a pay-to-play option that gives you quite a head start if you choose to spend the 7 dollars to get the bonus. Otherwise this game is free on the Oculus Store for your enjoyment! This is more of a strategy RPG, but still doesn’t require a lot of movement to play. (Another one I play from my couch.) This heart-wrenching game draws you into a story of a broken family in a dystopian future. The city they live in is falling to shambles due to a cruel dictator that just happens to be the main characters step-mother. You play a robot in charge of being the “eyes in the sky” to look out for your human friends below, telling them where to go and who to shoot to ensure their safety and the completion of the mission. Augmented Empire can be found on the Oculus Store for $9.99 and you will absolutely lose all sense of time while you’re playing it. I seriously didn’t wanna put it down once I started. My only advice is to make sure you touch all the things you can in the game, don’t worry about timing unless there’s an active timer somewhere. There are too many cool things you shouldn’t miss. This game is full of jump scares and psychological horror. I LOVED it. The designers found just the right way to scare you with or without having something jump right into your face. It’s tough to get as good of an experience in a horror game as I did playing Doors of Silence, and that’s saying a lot because I write plots for a zombie horror LARP. You can find Doors of Silence on the Oculus Store for just $4.99 and it’s worth every penny. I originally played Ultrawings on the PlayStation VR and was quite skeptical of the amount of fun I would have when I got reduced to just one hand by playing it on the Oculus Go. Surprisingly enough, it didn’t actually take from the experience at all. Yeah, I felt like less of a badass not being able to pull the clutch while steering, but those are little things that don’t even effect overall gameplay. All in all, this is a super fun game to give you the feel of what flying is really like. It’s super immersive and fun as heck. If you starts feeling nauseous playing it, just put a fan in the room to blow on you during gameplay to trick your body into thinking it’s moving the same way your eyes are seeing. Ultrawings in on the Oculus Store for $9.99 so go get it for yourself and see all the sites and challenges you have to face within. 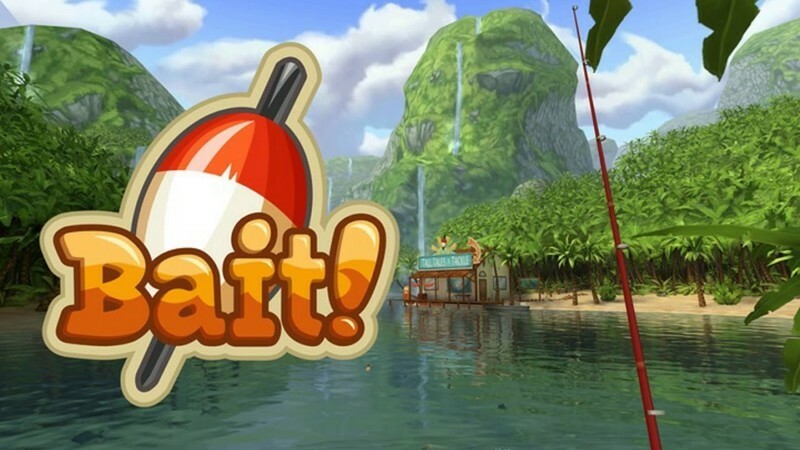 From first glance, this didn’t look like a game I’d want to download or even enjoy (I’m not a fishing person AT ALL) but this game was actually super cute and pretty fun! You’re a fisherman on the lakes trying to collect more fish for the museum you work for. The goal is to gather enough money to keep upgrading your resources and get better fish. But, there’s a mysterious fish that dates back to prehistoric times the museum has its heart set on. You can get Bait for free on the Oculus Store and jump right into the game. The mechanics are easy to get the hang of and the story is even easier to follow. Have a blast!